Let’s all stand up and give a round of applause to MEEEEEE for having gone 25 days with NO soda!!! I can’t believe I’ve gone that long. And let me tell you, it has not been easy. The closest time that I thought I was going to slip up was the night of my 27k night race. 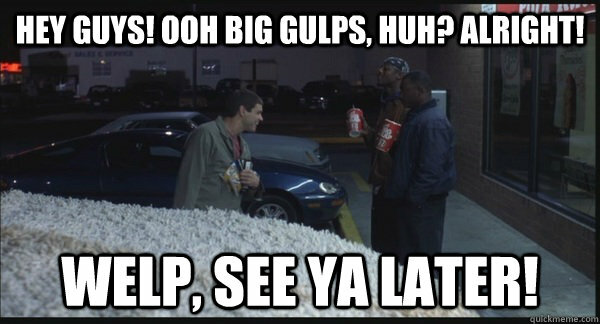 I was so exhausted when I finished that all I wanted was a Big Gulp. I remember around mile 15 telling myself that I would allow a cheat day if I could just make it to the end. An ice, cold fountain drink was the only thing motivating me at the time. When I did finish, I called my husband to tell him about this deal I had made myself and he was able to talk me out of it. At that point, I was two weeks in and he reminded me that the hard part was almost over. The withdrawal stage was no joke. Headaches, moodiness, yes. all of that I experienced. I knew it would happened and tried my best to not annoy my husband and practice extra patience with my kids. Luckily , I had coffee. All the coffee. Anyway, the first two weeks were the toughest and I was coming out of that stage; I could do this. Plus, he knew that I would feel super guilty the next day and told me so. I’m so happy his persuasive skills worked. I’m very much looking forward to reaching the half way milestone. I think once I make it there, the end won’t seem that far away. Many people have told me that by the time I’m done, I’ll probably not want to drink soda anymore. I can say at 25 days in that that’s very unlikely. I honestly don’t think I’ll ever stop. I’ll maybe drink less, but I can’t see myself not drinking it ever again. I don’t know, I could surprise myself though. I’ve liked how less bloated I feel but I haven’t noticed any decrease in weight or anything. My purpose with this challenge wasn’t to lose weight anyway but more to see how it would affect my training. If it would make a difference. It’s so hot here in Phoenix that hydration is so important. Would eliminating soda and drinking more water help my running? That’s what I’m most curious about. –How have you challenged yourself recently? –What do you think you’d struggle with doing/not doing for 100 days? Cheers to you! Way to go!! I’m actually very surprised you haven’t lost any weight, but you are doing really awesome and I bet you feel a lot better! I def feel less bloated that’s for sure so that’s good 🙂 Still kinda hoping I’ll *some* weight loss lol! Wow…now that is a challenge. 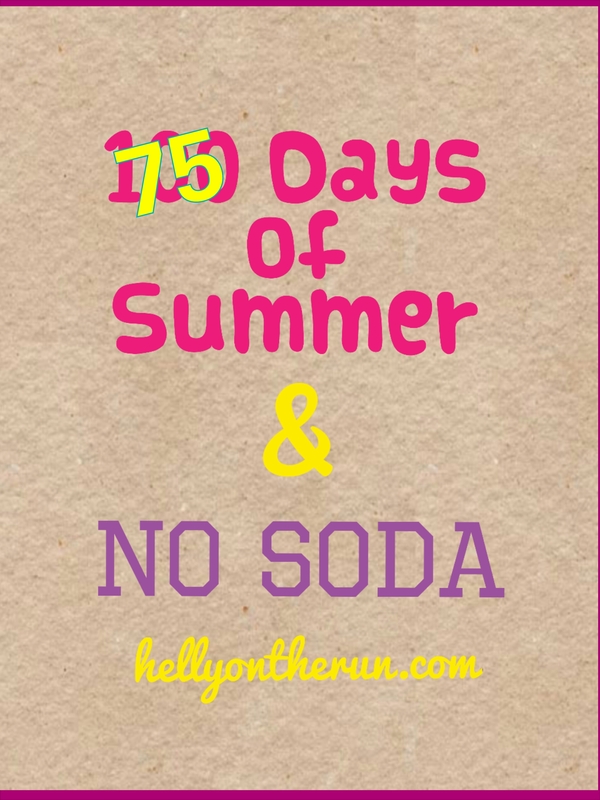 I’ve tried giving up soda and decreasing my beer (not giving up beer lol) and neither was easy. You are doing a great job, takes a ton of discipline. I also think this is good mental training for your running. If you can fight through the withdrawals of soda, you can’t fight through any late run fatigue. I’ve tried similar challenges but have not had any where bear your success. I would go crazy if I didn’t have a nice cold beer for 100 days. Yikes I have a hard time even typing that lol. Jaja!!! Yeah, soda is my beer for sure!! Hey that’s no joke! Great job! Congrats on making it 25 days!!!!!!! I know when you mean about breaking the challenge down into quarters. I break my long runs down into quarters too. I really think the mini milestones help mentally! Thank you!! And I def think mini milestones help.. Unfortunately, I don’t like tea 😦 I still drink coffee but it’s mostly just been water. Some lemonade too.. I used to b a huge soda drinker, especially Coca Cola and I thought I’d never stop. But I stopped for a couple months for a challenge once and although I still craved it at the end, I couldn’t stomach the gassy drinks after drinking only water for so long. Now I barely touch the stuff. So you might be surprised. Good luck on the rest of the challenge! i don’t drink a ton of soda, but i enjoy a good coke zero (fountain is best) every now and again. when you are back to soda, you might want to try honest tea’s new sodas. they are calorie free, have an organic version and are awesome! good luck, you got this! Way to go!!! I need to give up sodas. Perhaps after baby is born that would be a good time to start. Great job! 25 days is awesome! Way to go! I remember when I gave it up in ’93, it was very hard for a while. But then it became absolutely forgettable. Keep it up! Great job! I remember when you first started the challenge – it’s going by quickly! I’ve been wondering how this has been going for you! Great work! As far not being sure you’d be able to give it up forever… you never know! I never thought i’d be a vegetarian. That seemed impossible to me 5 years ago. 🙂 I should actually say over 5 years ago because as of next month I will have been meat free for five years! Nice job! I cut out soda a couple of years ago and crave it when I’m hungover (which happens rarely too these days). But if I had to give up chocolate…………that would be impossible. You can so totally do this! 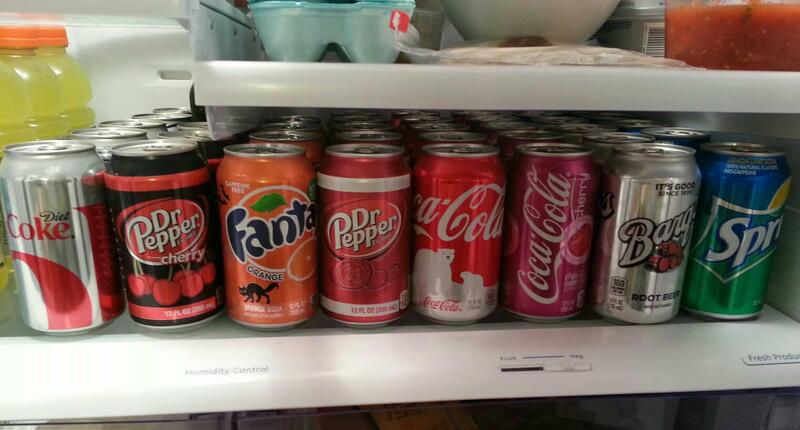 Holy moly that was a lot of soda that used to be in your fridge. Good job keeping your no soda commitment going for 25 days!! It’s especially impressive that you were able to overcome your craving after the 27k! That was SO HARD and I honestly thought my husband was going to give me the okay. When he didn’t, I knew I had to stay strong. Great job!! Question…do you drink soda for the caffeine or the bubbleS? Yay on making it 25 days! You are kind of almost there! I think it will be interesting to see how you feel at the end of this. You might take your first sip of soda and think it’s really gross! What a beautiful picture of soda! I’m always trying to give it up. I feel good if I’m drinking only one can a week.